Humans have a strange relationship with sleep. We beg to stay up late when we’re young and when we grow up, we often long for the chance to turn in early. Also as adults, we tend to lose track of time when we juggle the demands of work, family, and friends. As a result, it’s often later than we think when we finally crawl into bed at night. On average, it’s suggested that adults get around 7 to 9 hours of sleep at night. Skimping on a few hours now and then probably won’t do you any harm, but exhaustion isn’t something to take lightly! Research has shown that missing out on sleep can have negative effects on your mind and body. There is such a thing as beauty sleep, and we all need it. Studies have shown that folks who go to bed on the early side are more physically active, more productive, and less likely to be overweight. What’s more, losing sleep may cause muscle loss; all your hard work at the gym could be undone if you insist on burning the midnight oil. For one week researchers at the University of Pennsylvania studied how people felt after getting less than 5 hours a sleep per night. These tired folks exhibited unpredictable behavior. Overall, they were easily annoyed, frustrated and complained of feeling more stressed out than usual. On the extreme end of things, regularly missing out on sleep could cause depression or anxiety. When we sleep, our body gets a chance to restore itself and refuel for the day ahead. So without enough shut eye, your body is basically running on empty, which can lead to increased tension, anxiety and mood conditions like depression. There have been lots of studies on the connection between pain and sleep. In a nutshell: if you don’t get enough sleep, the next day your aches and pains will probably feel worse than the day before. This is because your body relies on the down time to heal and gather strength for the day ahead. We all know how difficult it is put down a really (really!) good book or how hard it is to abruptly stop watching an exciting, dramatic movie. Do yourself a favour and do not start reading a bestseller or watching intense TV late at night. Set boundaries for yourself and stick to them. When you’re overtired, your physical body may show up where it’s supposed to be, but your mind may be far, far behind. Sleeplessness messes with your ability to think clearly and logically. So although you may look like you’re with the program, in reality you could be lost in a brain fog and have trouble keeping track of what’s going on around you. 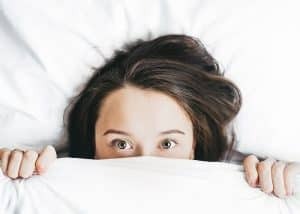 An American study shows how sleep-deprived students took significantly longer to perform tasks that required quick decisions compared to students who had adequate amounts of sleep. While we sleep, our brains are actually quite busy. During lights out, our brains are making sense of and storing up the events from our day. We need solid stretches of sleep to allow our brains to properly catalogue our memories. If your job requires you to learn new skills and retain pertinent information, you’ll need adequate amounts of sleep in order to succeed. Without 7 to 9 hours of sleep (on a regular basis) your well-rested co-workers are likely to perform better than you. Sleep deprivation may lead to a compromised immune system, which may cause illness. It’s reported that insomnia-related incidents cost the U.S. workforce over $15 billion per year. Have you ever surprised yourself by done something totally random like putting your wallet in the refrigerator or the cold milk in the cupboard? When you’ve gone without sleep, you’re more likely to goof up like this because your sense of logic is impaired. New mothers will understand exactly how lack of sleep can lead to silliness and confusion. Accidents can happen in the blink of an eye. Therefore, it’s in your best interest to be aware and alert at all times. A study showed that insomnia may cause up to 275,000 accidents in the workplace each year. Many car accidents have also been attributed to fatigue. REM sleep is when we experience our most intense dreams. In a recent study, a group of students were tested right after experiencing REM sleep (when we have the most dreams). As a group they scored 40% higher on creativity tests and 30% higher on tests that required flexible thinking. In our bustling, busy world, sleep often seems like a luxury. But the truth is, we need sleep in order to function properly at work and at play. Numerous scientific studies have proven how sleep affects both our bodies and minds. 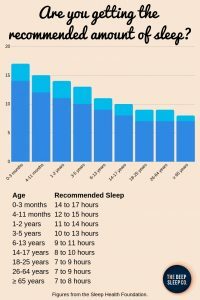 We owe it to ourselves, our co-workers, our families and friends to adhere to healthy sleep schedules as much as we can. Are you an early bird or a night owl? Let us know in the comments below. Please note: This article is not to be used as medical advice. Please consult a medical professional before using any sleep treatments. This post may contain affiliate links. The Queen of Quark loves to teach others how to incorporate quark, a German superfood, into their diets and to inspire people to be happy, celebrate life and strive for optimal health. 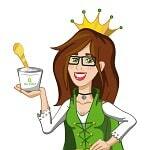 She blogs about quark cheese and healthy living over at Queen of Quark. I can’t agree more but given all the benefits, it is still a struggle but I am working on it like how I managed to have a morning routine. Now the only problem is to do what needs to do at night. Sleeping early. I understand Dani, I am also a night owl naturally. But even a slightly earlier bed time works wonders. 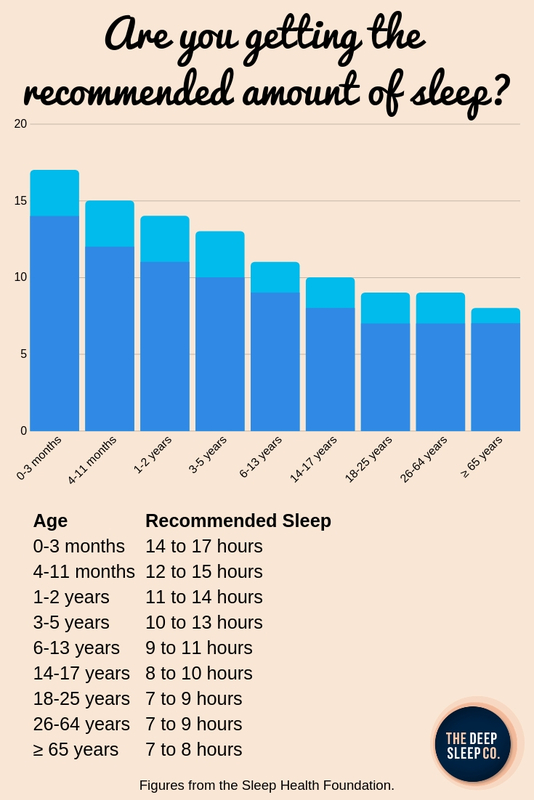 Having good sleep is certainly important. Sometimes it is difficult to get what you need. But I know I feel better when I sleep.